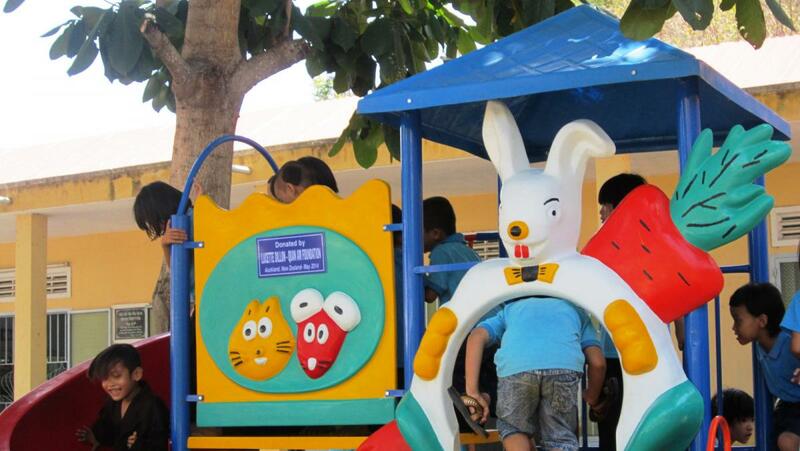 On May 9, 2014 we helped set up a new playground at the Loc Tho Charity School, donated by Lucette Dillon and the Quan Am Foundation of New Zealand. 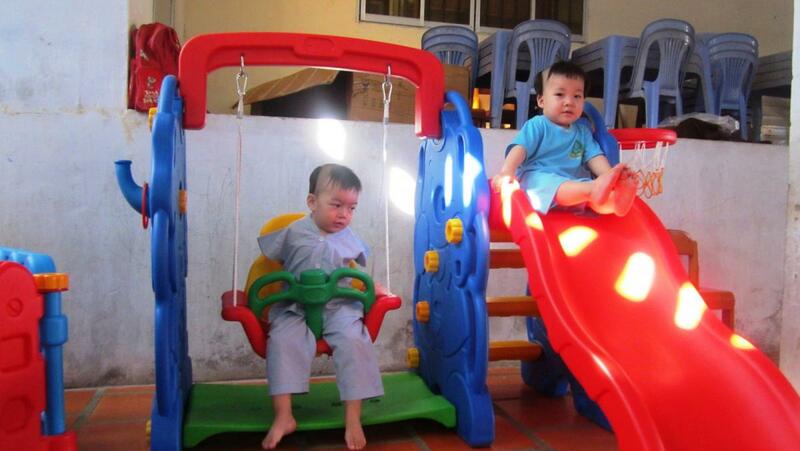 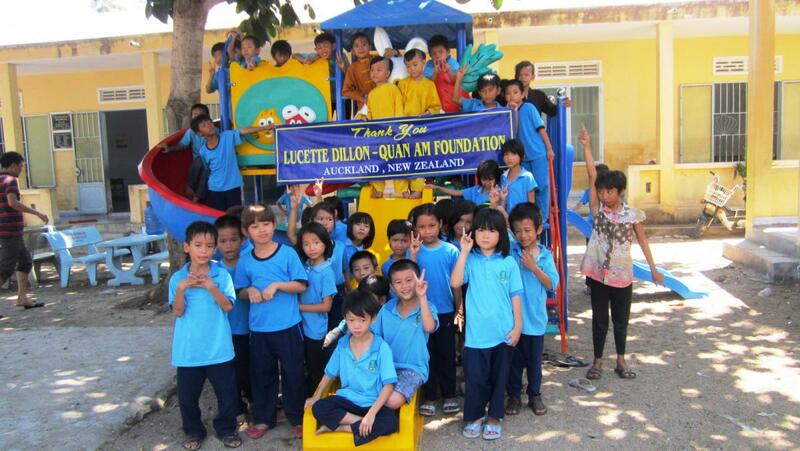 Lucette and the Quan Am Foundation have done a tremendous amount of good for orphanages and charity schools in Vietnam. 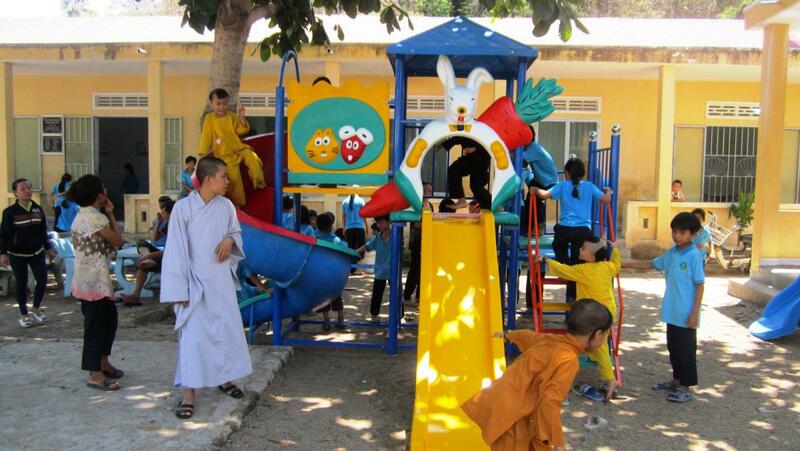 When Lucette proposed bringing playground equipment to Loc Tho, our lead coordinator Hiep was more than happy to help. 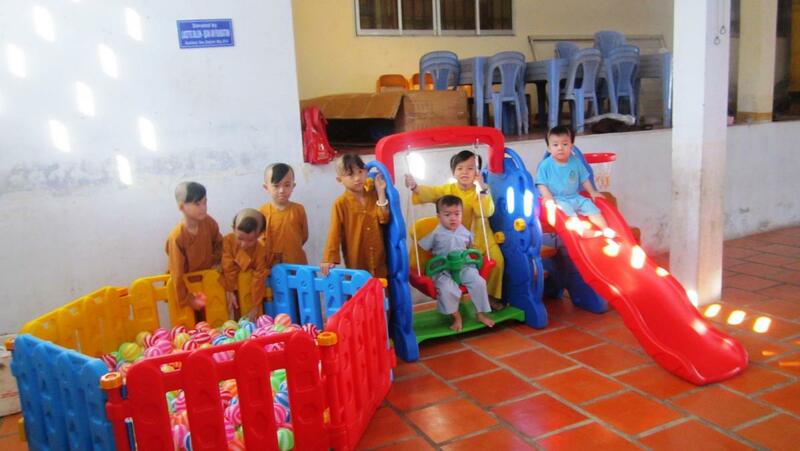 All funding for the project came from generous and kind-hearted donations to the Quan Am Foundation, and on May 9 Hiep was on hand to oversee the final construction. 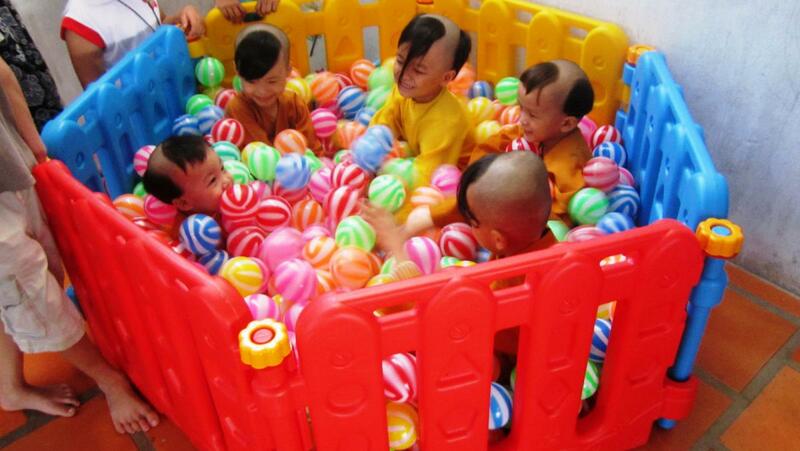 The children were overjoyed! 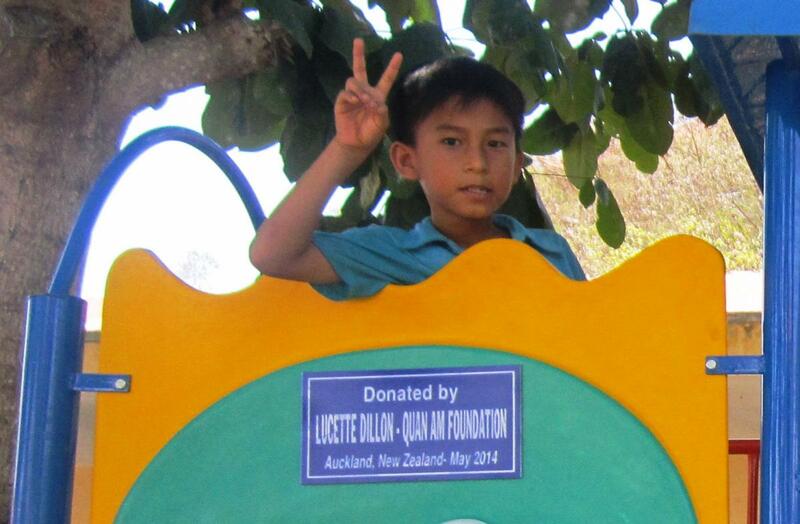 Thank you Lucette and the Quan Am Foundation, and our sincerest thanks to all who contributed to this project in New Zealand.